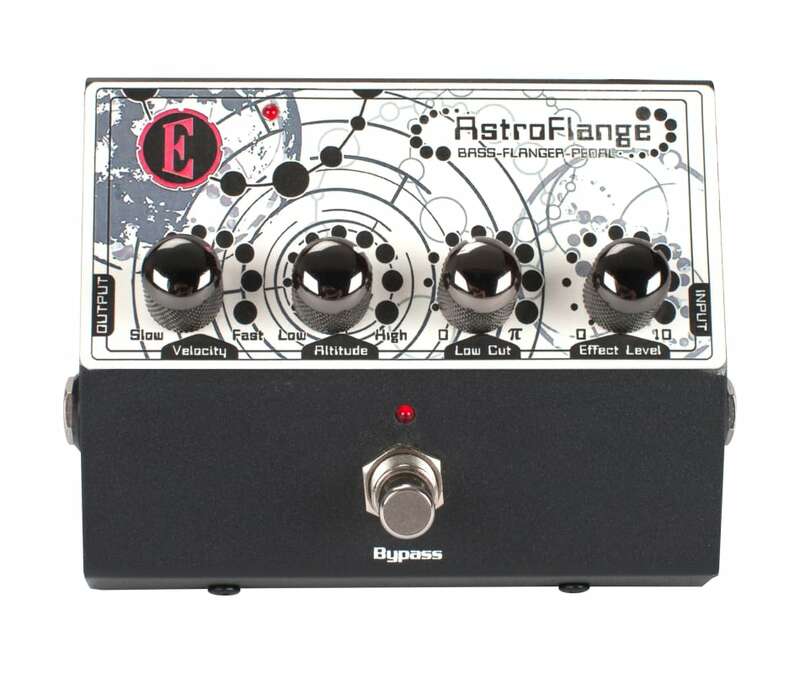 The Astroflange from Eden Amplification is a flanger pedal designed specifically for bass instruments such as electric bass guitars, acoustic bass guitars with pickups, and synthesizers. Flanging effects, from subtle to strong, can be dialed in with the Astroflange's four controls. The Velocity knob controls the speed of the flanger, while the Altitude knob adjusts the "height" or pitch variation of the flanger. The Low Cut knob controls what part of the frequency spectrum the flanger affects, and the Effect Level can be used to set the volume of the wet signal. The Astroflange is powered via the included 15V power supply and features a bypass switch and LEDs to indicate power and effect on/off status.